Junko Ogata was a Japanese accomplice serial killer who was born to a wealthy family on February 25, 1962, in Kurume, Fukuoka Prefecture, Japan. Junko and Futoshi Matsunaga attended the same high school but they did not know each other much before he transferred to another school. Junko was caring and gentle while working in a preschool but everything changed including her personality after she started to date Matsunaga in 1982. She was a virgin until she began dating Matsunaga, but he still suspected her of cheating/or having other relationships. Junko and Matsunaga had two sons although she was abused by Matsunaga severely. Junko was now cruel and joined him in his killing spree where it is believed that they might have killed about seven people from 1996 to 1998 including her parents and her nephew and niece. Junko began suspecting that her husband Matsunaga was lying when he said that her mother tried to seduce him and she realized during the trial that he might have raped her mother. Junko Ogata was arrested in March 2002. Japanese writer Masayoshi Toyoda supported Junko Ogata and published a book about her in 2005 where he was doubtful of her trial. Masayoshi was not allowed to meet Junko at first because she was a murderer but for some unknown reason, Masayoshi was allowed to meet her on September 27, 2005. 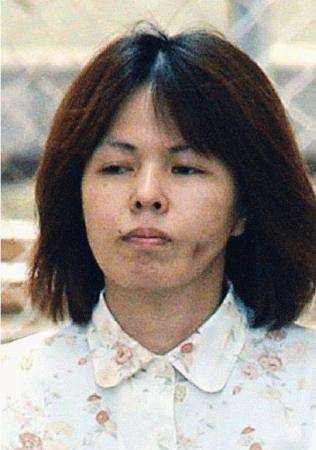 Junko Ogata was sentenced on September 28, 2005, in a Fukuoka district court to die but she appealed on October 11, 2005. She was tried for six murders including her father"s death which was counted as manslaughter. The high court in Fukuoka sentenced Junko on September 26, 2007, to life in prison instead of letting her stay with the original death penalty sentence. Junko Ogata serial killer is a female serial killer.